Download the appropriate SID file for your version of JMP from the download section on TigerWare before installing the JMP program itself. This will be necessary for activating your product. 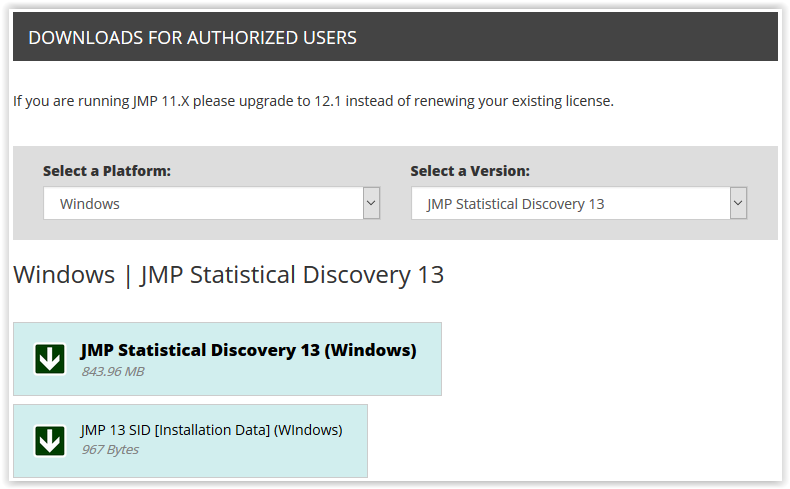 For installation instructions, please see JMP Statistical Discovery: Installation Instructions. 1. To download, click on your selected SID file, and choose Save File when prompted. 2. Click on the correct file in the Download list. 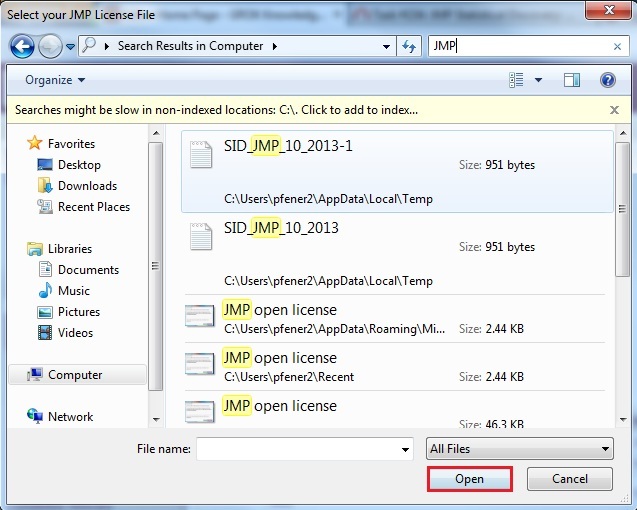 Once you have downloaded the SID file for your select version of JMP, start your JMP software. 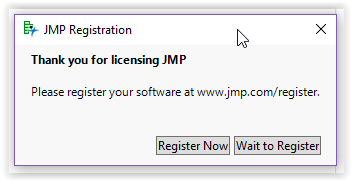 The first screen you see at JMP launch is a message that you need to update your license. 5. At the prompt, navigate to where you saved the SID file and click Open. 6. 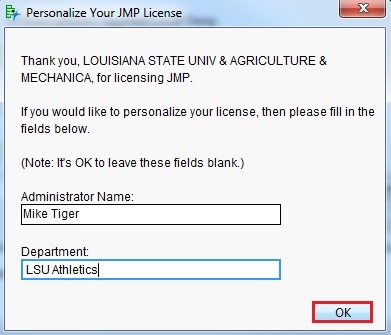 Enter an Administrator Name and Department if you desire and click OK.